Me, in front of An Cuan. I’ve been doing a lot of thinking about hospitality lately. What does it mean to be hospitable? When I am working in Hospitality (the department I oversee), is that me being hospitable, or the outworking of the practical aspects of this job something else entirely? Some of you may know that a few months ago (about the time the Discipleship Training School I was staffing left for their outreaches) I became, officially, the Hospitality and Housekeeping Coordinator. This sounds like a fancy job. When I imagine it in my head, I see myself sitting in an office, looking at spreadsheets and calendars, answering important telephone calls, ordering bellhops and maids this way and that, and demanding that the linen delivery arrive on time or else! I don’t know whose job I am imagining, but it certainly isn’t mine. I do occasionally sit in an office, though if I happen to be looking at calendars and spreadsheets, it is usually on the couch in my kitchen. I don’t tend to order many people around, considering that I am the bellhop, maid, and laundry service. When I started working in hospitality, my role was mainly to organize our DTS students in their hospitality work duties. All the students had a daily two hour period in which they did practical work that helped keep An Cuan running. When I started doing this, the three girls assigned to hospitality had already been doing it for several weeks, and to be honest, they knew more about what to do than I did. I was the liaison between the person who really knew what needed done, but only came in for the morning, and the students who just needed instructions in the afternoon. My job was mostly communication at that point. 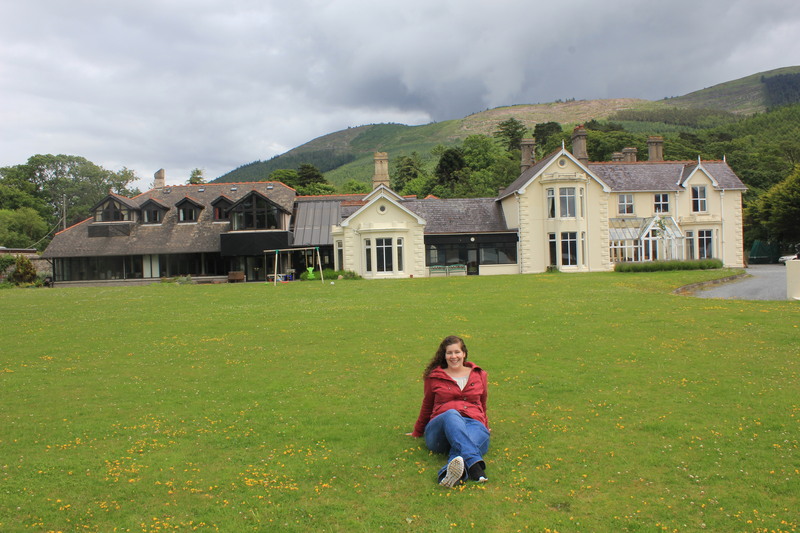 As the months went by, however, and I became comfortable in what we do and how we do it, I started remembering the visions that God had given me about my time in YWAM Ireland. God had specifically called me to build up the foundation of the house here. The vision is to be able to fulfill its purpose of being a safe harbour, a creative place of renewal and reconciliation. God’s presence is truly here, inviting people to come and rest with Him. That makes my job much easier, as He takes the initiative to make folks welcome here. That being said, we as YWAMers tend to be busy, creating many things and going many places all at once – which is completely part and parcel with our apostolic calling. However, when it comes to long term projects like the maintenance of a building, sometimes we can be a tad short-sighted. So many extremely visionary people, dreaming with God about big projects happening in the future can sometimes find themselves merely putting out fires when it comes to day to day projects like keeping toilets clean, staying on top of laundry, and taking care of guests. I felt specifically called to come and work in the house, not just to be a housekeeper for the length of time that I am serving here, but to create an environment where the work can grow naturally from our love for the people coming here, and be sustainable regardless of the amount of people that we have serving here. That being said, there is always so much to do here that to take the time and space to create means I have to first let things fall into some amount of disarray. A few months ago, this seemed impossible. I refused to let it be, and I demanded that I extract the most possible work out of myself. My slave driving self insisted that I make sure everyone had the best possible stay here by living in a spotless house, doing every task perfectly no matter the time it took or what it cost me. Not only was I backing myself into a corner, creating a job that only I could fill, and a standard that no one could ever live up to, but I also was robbing people of what they truly were longing for – relationship. Over the past few months, whenever people have left thank you cards behind, I’ve saved them up and kept them. And the majority of people who were impacted enough to say something say these two things. 1. Thank you for making the space for us to find God here. 2. Thank you for spending time with us, whether it was a coffee, dinner, or just sharing your life. I’m not planning on letting this glorious house fall into ruin, or never cleaning another toilet again. But the longer I do this job, the more I understand that true hospitality isn’t about having the nicest things or about the cleanest house. It’s about inviting people into a relationship, with God and also with us. If all the jobs don’t get done today because I felt God prompting me to make a cup of tea for a guest and listen to their story, then it’s simple: God values this person before me more than my to-do list. I already “knew” that, but I am learning both to live with it, and to live it, and it’s a beautiful thing.